On our InterRailing trip in Summer 2015, my girlfriend and I spent a few days travelling through Switzerland, taking a day trip to lake Brienz and Lucerne, somewhere I’d been to a number of times before as a teenager. 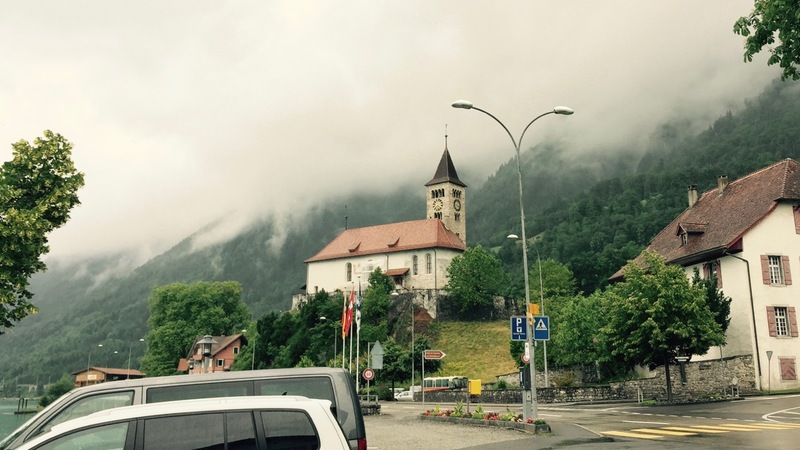 Unfortunately, the only time we experienced bad weather on our trip was when we set out to explore the beautiful Swiss landscape, with low clouds covering the incredible views of the mountains that you’d usually get. Nevertheless, follow our route through the central Swiss alps below! 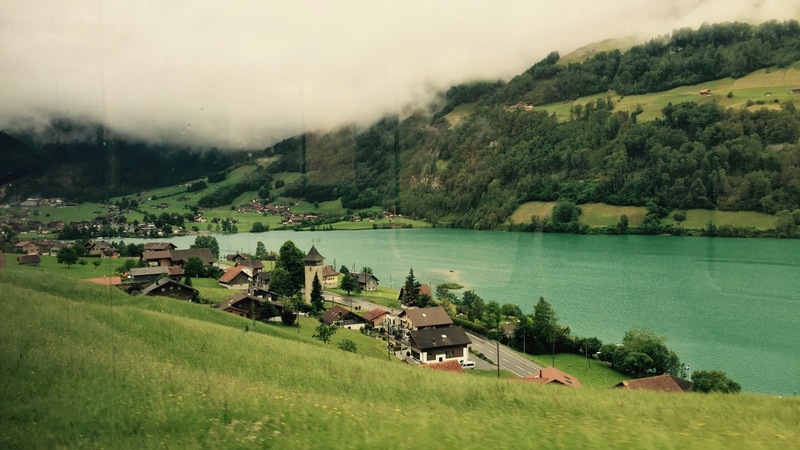 We started our trip by taking the train from our base camp in Zurich to Interlaken, taking around an hour, depending on whether you get a fast or slow train. Interlaken sits alongside the Aare river, between Lake Thun and Lake Brienz. 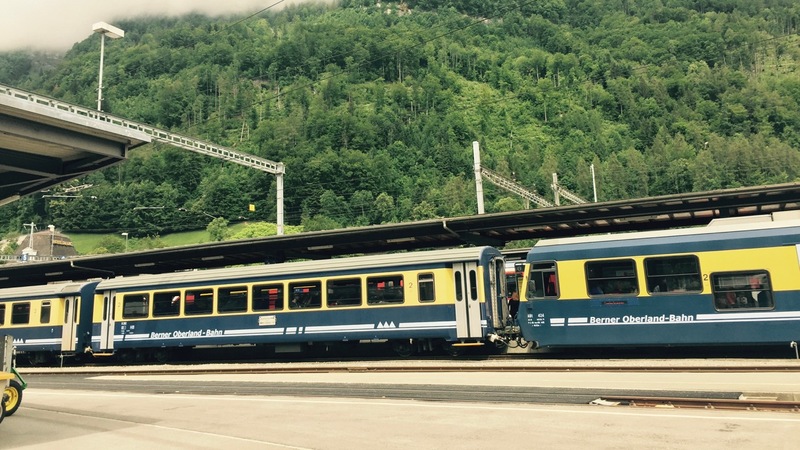 As you arrive at the main Interlaken West train station, located next to the Aare river, you can jump straight onto a boat from a pier connected to the station. However, we ended up taking a 15 minute walk to the next boat station at Bönigen, on the shore of Lake Brienz, because we left the station on the wrong side and didn’t see you could get the boat from Interlaken! 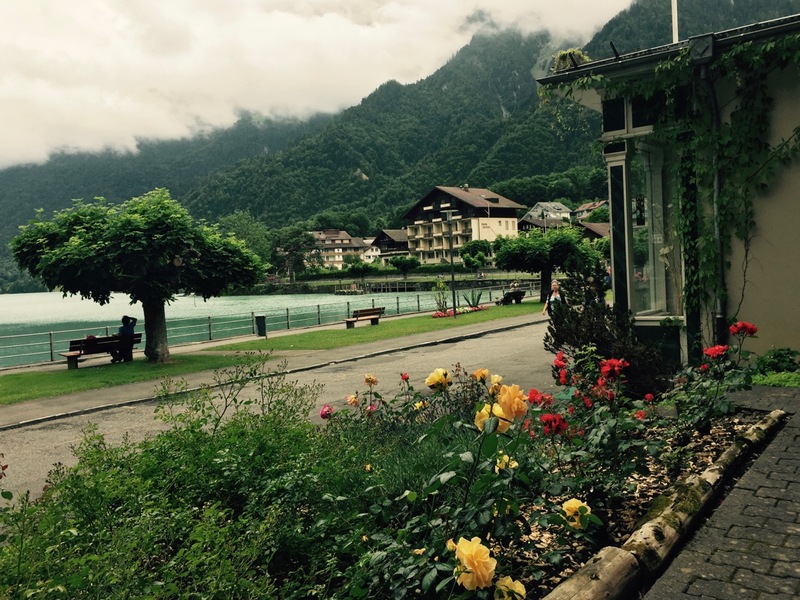 We headed to Hotel Seiler au Lac, which is right by the boat station on the shore of the lake. Here, we enjoyed a few beers and ciders on the terrace while waiting for the boat, enjoying the view of the lake. As is to be expected in Switzerland, drinks are quite pricey, particularly at this 4 star hotel bar. However, you do get table service and we received some complimentary snacks with our drinks. Not bad! Boats across the lake come every hour, however the only one worth going on is the vintage, 1914 built DS Lötchberg, while the other is just a generic modern boat. Fortunately, the boat timetable indicates whether you’ll be getting the old or new boat. For any InterRail ticket holders, it’s included in the price, though you won’t have access to the first class lounge, you’ll be in steerage with everyone else. 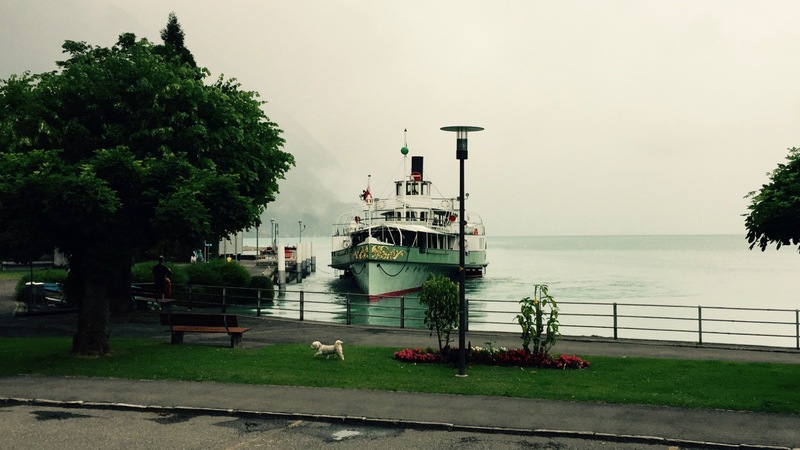 The DS Lötchberg is a 100 year old paddle steamer, and really adds to the atmosphere of crossing the lake, which takes an hour from Bönigen, or 1 hour and 15 minutes from Interlaken. Aboard, you’ll find a restaurant serving snacks, plus two big seating areas to the bow and stern, as well as a first class lounge upstairs if you’ve paid extra for the privilege. Downstairs, you’ll also get a view down into the engine room, where you can watch the massive pistons powering the ship. Along the way. you’ll get some great views of the valley, though unfortunately when we went the upper half of the mountains were obscured by the clouds. One thing you’ll notice, however, is the unusual turquoise colour of the water. It’s this colour because of the glacial particles at the bottom of the 800 foot deep lake, which reflects blue and green light back up to the surface. The water is also incredibly clean and surprisingly, safe to drink, which is why the light is reflected so well. In fact, according some local tour guides, the fish in the lake have been known to die off because the water is so clean, there’s not enough algae for them to eat. 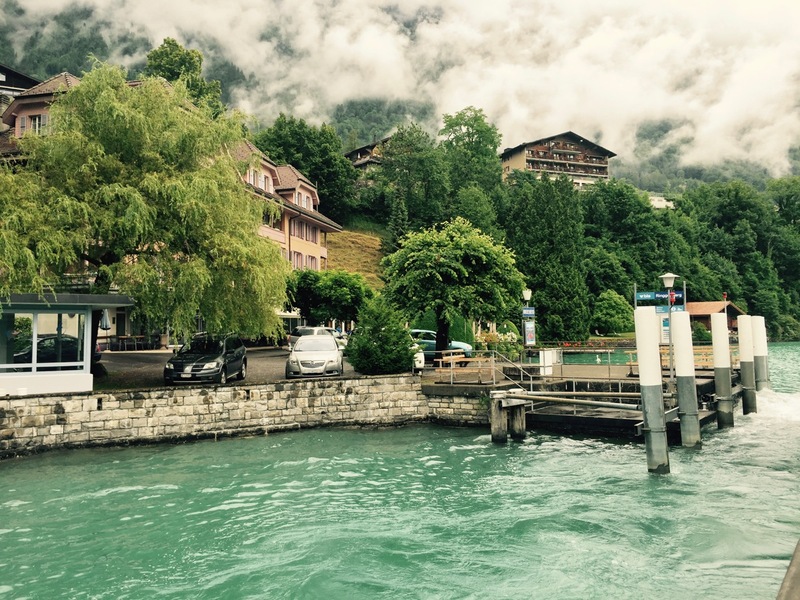 At the other end of the lake, you’ll reach it’s namesake – Brienz. The harbour is right next to the train station, where it’s possible to take a small steam train up the Rothorn mountain. However, this is very pricey at 88 Francs for a return trip, so only worthwhile on a bright, clear day. It’s of course possible to climb the mountain, or take the train up for 28 Francs and walk down. 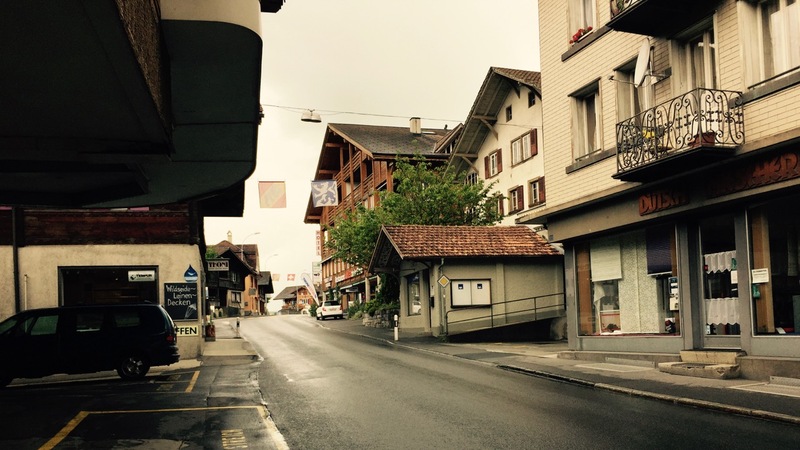 As we were travelling on a Sunday, Brienz was largely deserted, with most of the shops shut. We spent a bit of time exploring the village, walking up to the church which, on a good day, would offer a decent view down onto the lake. 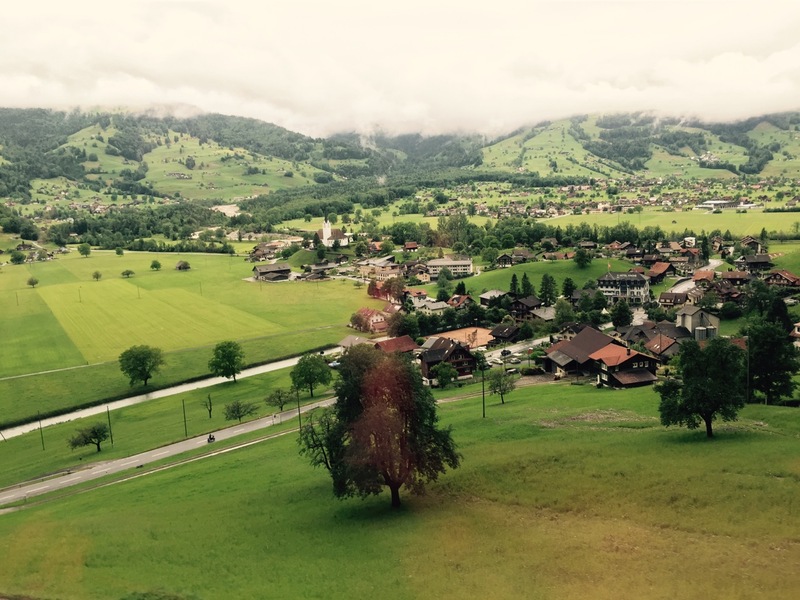 Admitting defeat, we returned to the station and boarded a narrow-gauge train on the Zentral Bahn route to Lucerne. This train would take us across the mountains, winding through some steep terrain and offering some great views along the way despite the cloud cover, which no doubt would be much better on a clear day. Along the 1 hour 30 route, you’ll pass a number of smaller lakes including the Lungernersee, Sarnersee, before hugging the coastline of the massive Lake Lucerne. 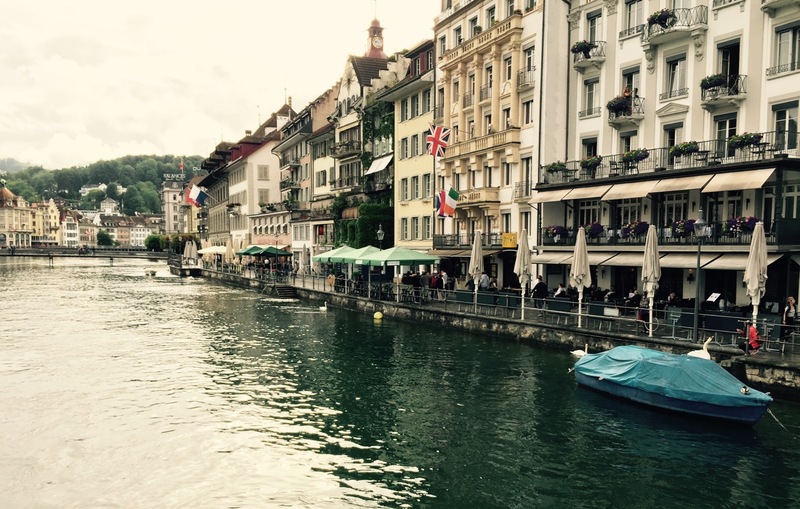 Lucerne is the largest city in central Switzerland, making it a big hub for tourists. 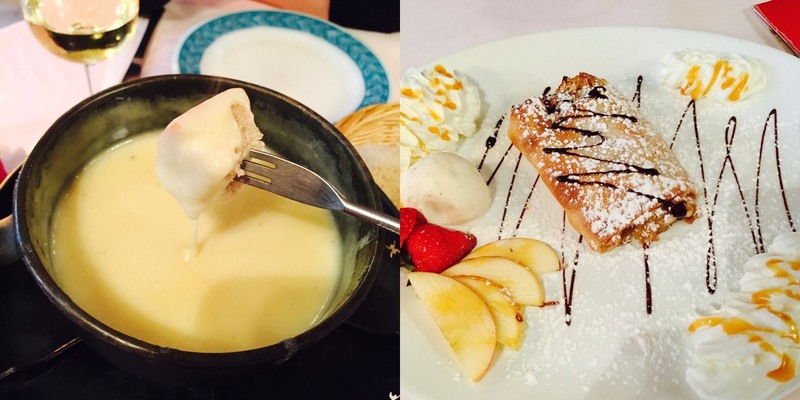 As a result in the centre, you’ll find lots of restaurants serving up traditional Swiss food such as fondue and strudel, though beware of the tourist traps! While everything in Switzerland is expensive, you may find better authentic swiss food at lower prices in the less popular tourist destinations. Walking around Lucerne however, and it’s easy to see why it’s such a popular tourist destination, thanks to the medieval and early-modern buildings in the city centre and around the lake, as well as the famous Chapel Bridge, the oldest wooden covered bridge in Europe, first built in 1333. Walking across, you’ll find a number of paintings on the walls as old as 300-400 years. After dinner and a stroll around the city, it was time to head back to Zurich. This route is a great way to see one of the most beautiful areas of Switzerland, though as we found out it’s weather dependent. 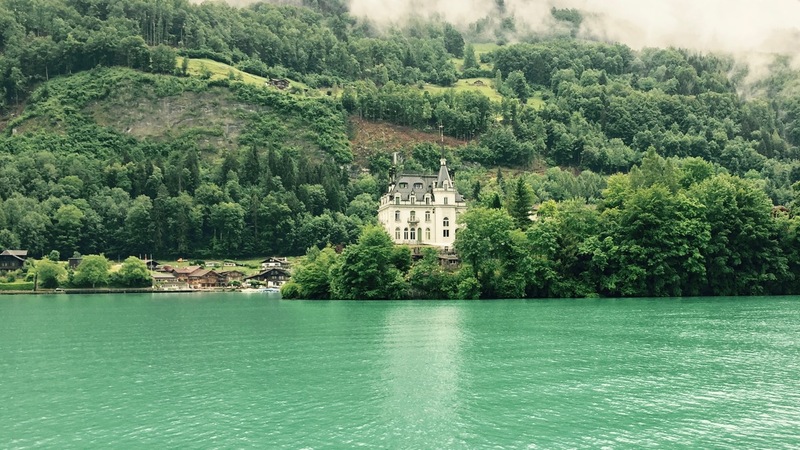 If you’re travelling in Switzerland on a sunny day, lake Brienz is well worth a visit!